Are Lunch Time Accidents Covered? Most employees nowadays are familiar with the basic tenets of workers’ compensation – if you are injured on the job or within the scope of employment, your employer’s insurance will pay for at least a significant portion of the medical bills related to that injury. However, the proverbial jury is still out on the issue of lunch or break time accidents. If one of them happens to you, whether you are compensated or not may depend on the smallest details of the situation. The short answer to the question of whether or not accidents on lunch or breaks are covered, at least in Florida, is that it depends. There has been a variety of case law on the subject, with some state courts carving out slight variations in the relevant statute’s meaning. Some cases have held that short trips off the premises for lunch or to attend to other personal comforts can be compensable because these trips are undertaken with the general consent of the employer. 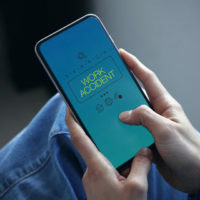 Others are more narrow in their interpretation, stating that if the employer “can be said to have retained authority” over the employee at all times, then a lunchtime accident is compensable. The issue at its heart is whether the employee was still under the employer’s color of authority, even if the employer was not present for the accident and it did not happen on the employer’s premises. Generally, the holding has been that if the employer’s existence affects the majority of the employee’s decision on that break, then it can be said the employer’s authority still runs, so to speak. For example, an employee who has lunch or a break off the premises where work will be discussed – so-called “power lunches” would fit this bill – would likely be compensated for an accident, because the employer’s authority is still palpable over an employee, even while on break, who is discussing company business. The issue of breaks, as opposed to lunches, has also been discussed in Florida jurisprudence, and the general holding is similar to that reached regarding work lunches and accidents. The standard that Florida courts seem to approve is that the employer must retain authority over the employee, either literally or morally, in order for a lunch or break accident to be compensable. Breaks are usually either expressly permitted or foreseeable “deviations” from work, meaning that the employer’s implicit or explicit consent to go has already been granted. However, the mere fact of its requirement lends weight to the argument of the employee still being under the authority of their employer. Case law on the issue of breaks hinges on the ideas of foreseeability and permission, almost always holding that if both exist, any accident that occurs during the employee’s break is compensable. Multiple different cases have quoted Cunningham v Scotty’s Home Builders (1974) in stating accurately that “[a]n employer-condoned off-premises refreshment break of insubstantial duration is generally not such a deviation as to remove a claimant from the course and scope of the employment.” If a claimant is not removed from the ‘course and scope of employment’ during the time of an accident, it is almost certainly compensable. The question of what to do if someone is injured on their lunch or on a break can be complex because it is hard to qualify just what counts as employer authority or deviating from the scope of employment. If you have been hurt and need help asserting your rights, contacting an attorney can make a difference. The dedicated Orlando workers’ compensation attorneys at the Hornsby Law Group are happy to try and put our experience to work for you. Call us today to set up an appointment.